Giraffe feedings are now taking place at the LA Zoo. 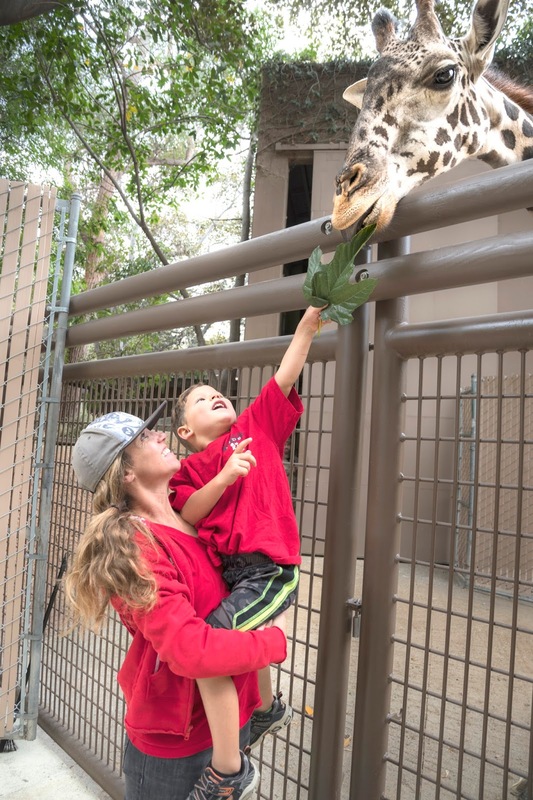 You can feed the tall yellow horses at 11 am and 2:30 pm, Giraffe Feedings are $5 per person with paid Zoo admission, which is $20 for general admission (ages 13 to 61); $17 for seniors (ages 62+), and $15 for children (ages 2 to 12) for non-members. Guests can purchase tickets (cash only) for the Giraffe Feedings at the exhibit just prior to start times for the activity, which is subject to weather-related changes, especially on rainy days.